Home / Article / What’s the point of having employee uniforms? What’s the point of having employee uniforms? 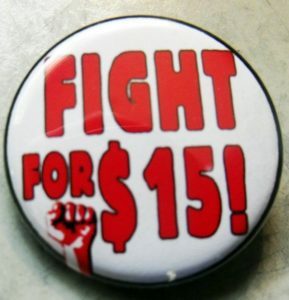 With the recent ruling by the 5th Circuit Court of Appeals, ruling with the National Labor Relations Board (NLRB) against the employer, In-N-Out Burger, where they could not prohibit employees from wearing a “Fight for $15” pin on their uniform, it may signal the end of employee uniforms. A private company, especially one in a retail environment, should have the right to restrict what their employees wear when interacting with the public. This could have detrimental impact to their business as the potential for employees choosing to wear something offensive, or opposing to the values and mission of the company, become more of a possibility. This move opens the proverbial Pandora’s Box to all sorts of issues. It will certainly challenge companies to at least re-visit their uniform policies and see if they need to be amended. Based on the ruling, had In-N-Out not allowed any buttons, including the two they required employees to wear on certain occasions, the final ruling may not have held up. The outcome is an oversight in judgment though, as the previously mentioned buttons, which were required, could clearly be viewed as part of their actual uniform. In recent news, it has become common to see reports of companies that either oppose or support certain cultural or political issues; and as a result we see consumers becoming more selective on where they spend their hard-earned dollars. When these consumers walk into an establishment and see an employee wearing a pin that is counter to what that company supports, then the consumer may choose to no longer spend money at that business. With this recent ruling by the NLRB, the companies can no longer do anything to stop their employees from misrepresenting their employers. What if In-N-Out employees decided that they wanted to wear a pin supporting an anti-beef organization? Let’s take it to an extreme level and consider if an employee decided to supported some social extremist group that was largely offensive to the general population? Can an employer no longer prohibit that? 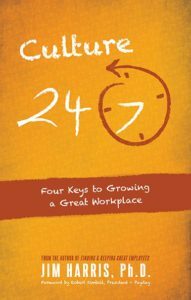 Need help with your employee handbook? We can help you! Click here for more info. Prohibiting a company from being able to have a uniform policy, especially in a retail environment, is a horrible overreach of government into the private sector; and paves the way for a breakdown in a company’s ability to maintain a professional and orderly work environment that is structured to reflect and multiply the mission of the company. This case is a reminder to employers that the NLRB is zeroing in on language they consider illegal contained in employee handbooks and policies. If you need any assistance in relation to disciplining an employee due to language contained in your employee handbook, or re-writing your employee handbook, reach out to us before you take that action. We can help to make sure that it is legal, as well as handle other HR needs for you and your company. For more about the In-N-Out Burger, Inc. v. National Labor Relations Board, 5thCir. case, Click Here.